I read a really great review on Book Snob of the book The Journal of Dora Damage that got me thinking (and commenting on my thoughts). As I'm not really sure when my next book review will be, and as Rosie's Riveters is on hold for this week, I figured this was an excellent time for one of my Rants. I have often gone off against women in literature in the past, and how I don't think females are portrayed in a realistic or likable way. After reading Rachel's review, I realized that more than anyone else, I hate the way Victorian women are portrayed in modern writing. I don't really have a problem with how they are portrayed by contemporary writers. 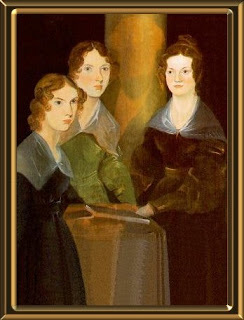 Dickens, Collins, Hardy and the Brontes all have very believable Victorian women populating their novels, and I salute them for it. I don't always love those women (Lydia Gwilt and Helen Graham get no love from me), but I respect them as being real. I do not, however, like most modern versions of Victorian society. I don't understand why authors today seem to feel that all their female Victorian characters must be the "rebels." I understand I'm making a blanket statement, and I know there are some contemporary authors that portray Victorian women in a fabulously realistic manner (Sarah Waters, I'm looking at you). Maybe I just don't see it as much in other periods as I do in the Victorian one because I know less about them. But there is, in my opinion, an overabundance of Unrealistically Rebellious Females in current Victorian literature. Why? What makes an author feel that, in order for a reader to sympathize with a female character, that character must have all sorts of modern sensibilities? And why are these females somehow always the only ones who rebel? And who are woefully misunderstood by all their family and friends? Honestly, considering how many books written revolve around Unrealistically Rebellious Females, it seems as though these girls would all meet at some point and start a revolution. But nope- they're all just living in isolation, feeling like they're the only rebels in all of London. I went off about this in my review of In Only to Deceive in 2007. I am aware that this series of mysteries is really popular with people, so I apologize for my rant, but I just can't find anything to like about her. I think the author made her character an Unrealistically Rebellious Female and missed a really good chance to seriously show the constraints on widows during the Victorian era. I feel like this happens a lot. I don't understand why an author would write a story that takes place in the past, only to populate it with characters from the present. If Lady Ashton had existed today, she would be a character on Gossip Girl- pretty and spoiled and fascinating to watch, but not the sort of person you'd want to be around. This was much the same in the urban Victorian novel Soulless, by Gail Carriger. Granted, this is a fantasy novel, so I guess there's more leeway, but it takes place in Victorian London. And the main character, Alexia, is the only person in her family who cares about knowledge, who is not fashion-obsessed, who is not fixated on going to the next ball. This, it seems to be implied, is because she's not really very pretty and so there's nothing for her to do besides read and be smart, rather than be pretty and get married. Brushing aside the fact that plenty of women who are not super-model gorgeous get married and live very happy lives, or that a woman in the Victorian era probably could read books to improve herself even while trying to snare a husband, this just seems to imply that no woman during the Victorian era wanted to improve her mind when there were better things to do. Again, I'm making generalizations. But why is this the case? The Victorian era produced such strong real women as (in England) George Eliot, all the Bronte sisters, Queen Victoria, Elizabeth Gaskell, Florence Nightingale, and the first woman to graduate from medical school, and such strong fictional women as Lydia in Armadale, Catherine in Wuthering Heights, Madame Therese Defarge in A Tale of Two Cities and countless others. 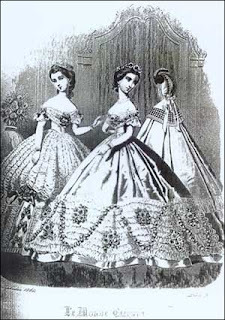 Clearly, there were a lot of ladies in the period who were not to be restrained by crinoline and corsets. And they managed to convey their messages and leave their marks without annoying everyone. I am sure they were annoying to some, and that some family members and general Society disagreed with their actions. But I feel they did so much more and so much better by working from within their constraints and then pushing those constraints outward- they did not break a barrier, exactly, but they made the barrier around them bigger and more malleable. Which, I feel, in Victorian times, was probably the way to get things done. They worked within the system and made things better for women in general, or showed the whole world that women could be strong and intelligent people. The women in a lot of current Victorian literature don't seem to care about any of this at all. They just gallivant all over the place, ignoring the system and making their fellow females appear like limp noodles for not going along with their schemes. This is unfair and misleading, and seems to ignore the real strides women made in the Victorian era. After all- women's suffrage came directly after the Victorian era. That didn't just come out of nowhere. The only reason it succeeded was because everyone recognized that women were true contributors to society and made it better. Reading your rant, I'm actually quite surprised by the gap in my own reading. Excluding Sarah Waters, I haven't read any contemporary Victorian fiction (I think). Of course, Summerscale's Suspicions of Mr. Whicher doesn't count. I love this rant. It's so true! I think the whole "personal freedom" rebellious angle has been a bit overdone in general, not just in Victorian literature. I mean, how many people really are true rebels? Maybe that's what makes a true rebel fascinating in the first place, but I agree it smacks of being less real and less honest when there's so much of it. I think that's partly what I found refreshing about the book I just finished (The Poisonwood Bible). The women are strong, and in some ways heroes in their own way, but they're not uncharacteristically rebellious. I hadn't pinpointed that sentiment until reading your rant just now. Thanks for the fresh insight! Yay! I am so glad you wrote this rant because it made me realize I am not the only one feeling this way. Actually, I have a bit of a pet peeve when it comes to characters from long ago that, as you put it, "have all sorts of modern sensibilities" (male or female, although I admit it comes off a lot more poignantly when it's about women, as their mindset has changed the most in the last centuries). Thanks for putting everything into words so well (who knows what writer-to-be will read it and improve a character or two :) ). Happy 2010! Thanks for the mention! And I totally agree. Modern day interpretations of the Victorian period irritate me because they are based on stereotypes that any good historian could tell you are false. Yes women didn't have a lot of the freedoms we take for granted today - but they still had active and interesting lives. It was only upper class women who were heavily restricted in what they could do anyway; working class women couldn't exactly sit about waiting to get married - all working class women would have done income generating work of some kind and they certainly weren't considered 'plucky' or radical because of it. The behaviour of Victorian women shown in many of these historical novels is, as you say, shown to be some sort of exception to a rule, something to be cheered or applauded as they break free from the society that has barred them from all opportunities. This just isn't true and it drives me mad! Victorian women did not lie weakly on chaise longues all their lives; they were living through one of the most radical, changeable, progressive periods history has seen, and the fight for the vote, education, and professional opportunities was driven by these women who recognised their unfair treatment and weren't prepared to put up with it. Tarring them as a weak, ineffectual generation, which most of these novelists do by default in portraying such 'shockingly' naughty main characters who are so different from their peers, is a real disservice to our ancestors. Fantastic post Aarti! I'm actually one who writes a rebellious female in the Victorian times (for which I shan't apologize), but I also abhor the cardboard cut-out of a rebellious character. But you are absolutely right - make these 'rebellious women' fight the battle they would have fought in the 1800s - the way they would have fought it. I think part of the problem is that many writers today lack the knowledge of the times. They know what a character might have worn, what the buildings looked like, etiquette, the timeline, etc - but they don't understand the politics of being a woman in Victorian times. It was very much a game to beat the system. Meanwhile, rebellious women, when written well, are smashing I should not be obliterated from literature because they've become too familiar. They should simply be written with style. Can you imagine an influx of novels about meek and uninteresting Victorian women? What in the world kind of a story would that be? I find your viewpoints fascinating. Cheers! I get what you're saying now: You don't mind a rebellious female character; your beef is that rebellious females of the Victorian age are written today as whiny brats who are rising up to fight, while absolutely everyone else in the city is shocked they aren't behaving submissively and doing what they're told. This bothers you because of all the abolitionists, rally-ers for the vote, temperest women, etc. Yes? The caricatures created today downplay the true strong woman and rebel of the Victorian age? I agree 100% if that's your opinion. The Victoria era is such a complicated era to study. On the surface there appears to be all this 'movement' and 'progression' but that wasn't always the case. As you know my current read is The Crimson Petal and the White and I really enjoy the character of Mrs Fox. She's yer typical upper-middle class Victorian widow who follows her religion. But she does rebel by going against the grain of her group and living her own (mild by today's standards) life. You're right, not all Victorian women were out and out rebels against society. My book group read Lolly Warner which was written and set within England in the 1920s. Yes I know it's not the Victorian period but bear with me. In one chapter the main character, Lolly, goes to her brother for money. He admits he has invested it unwisely in a little Africa colony "whose natives have rebelled". Lolly is more concerned about her money than the treatment of the locals which is well within the context of when the book was written. Yet she was heavily criticised by a lot of the group's members for her actions. Victorian Women: Rebels Without A Cause? As I was reading this, I was trying to think of female characters in modern Victorian novels that had appeared that way. The one that came to mind is the girl in The Interpretation of Murder by Jed Rubenfield. I think she fits this bill. Ugh, I hate that too! Women in those books always act so out of character for the times. It's like they were aliens just dropped there one day. I imagine that the ones who were really 'rebellious' weren't living in a vacuum. They would have had some influences and a basis for their beliefs. But the ones in the books always seem to be doing it all on their own. Another Cookie Crumbles- Well, I think books written DURING the Victorian period are quite good, if that means anything to you! Just not most historical fiction for the period. Jade- I read your fascinating review and have been mulling over how to respond to your questions since yesterday. I completely agree with you. There are some people who can change the world by flouting its conventions, but most must work first within the confines. Kay- No, you're definitely not alone! I'm right there with you! Rachel- You put it so well! I completely agree about the working class women, and those seem to be portrayed much more realistically than the upper-class women. I don't know WHY people seem to think upper-class women were such boring idiots in the past. Not all (or even most) women TODAY are boring, so why should they have been so boring in the past? It is just so condescending to make such a blanket statement like that. Corra- Your second statement exactly! As for your first comment, I completely agree that authors don't seem to know very well how women in the period acted. It seems they all just want to transport themselves back to the Victorian era and see how they would have acted. Which is fine in some sort of time travel thing, but NOT in general. A Woman with an Opinion- I don't remember Mrs. Fox at all! I did not finish that book, though :-) I also haven't read the Lolly book, but I don't think Victorian women were exactly "rebels without a cause." I think they did have a lot of really important causes to fight for, and they fought for them passionately. But these authors of female characters in more modern novels, the way they just go riding a horse through a park or acting as though no one else but them reads books... they're completely ignoring the very real struggles Victorian women faced and making it seem as though the only important thing to fight for was their OWN selfish need to be noticed. So THEY are rebels without a cause, but not Victorian women in general. Chris- Yes, I agree, and you say it so well. I don't think there was a vacuum, either. I think if you wanted to have more rights, then there were things you could do and people who agreed with you. And these characters don't seem to acknowledge that at all. I can see how unrealistic modern sensibilities are a bit of a problem with some historical fiction (though I tend to love it anyway). But the reason why those rebellious women don't bother me at all is because I'm not sure if the Passive Victorian Female of our imagination was as predominant as we tend to think. I think the picture we have of the Victorians is only one side of the story. We see the social trends, sure, but we can't know how women felt, hot they acted in their private lives. I suspect that this kind of rebellion was much more common that people would tend to admit back then, and I love historical fiction that explores those gaps. I actually mooched The Journal of Dora Damage recently and I can't wait to read it. But that's what I mean, Ana. I don't think Victorian women really WERE that passive. I think that the way novels today portray the Unrealistically Rebellious ones makes it SEEM as though all Victorian women were passive, when really they probably were not. I'm sure they all felt the restrictions of their society, so why do these particular types of characters always make it seem like they're the first women to ever be upset by societal restraints? Okay, now I've read through the comments and read Rachel's review of Dora Damage, and I think we were pretty much saying the same in different ways :P I do agree with you two after all. I guess it's just that the books I've read so far - like Sarah Waters' - present their characters well enough that they don't feel like that much of an exception to the rule. And that's why I love them. This is thought provoking. I haven't read much literature by contemporary writers set in Victorian times. However I agree that many historical novelists have difficulty writing characters that are strong and multi-dimensional without simply lifting them from the 21st century world. It's important to be able to create a strong female character in a multi-layered and *subtle* way, without needing to make her an over-the-top rebel. Aarti, this rant is awesome! I've often thought and felt the same way - you've been able to put into words what usually just leaves me grinding my teeth and thinking "yeah....right". While I understand that having a "submissive" main character might not contain the most intriguing plot, there does seem to be an overabundance of URF's on shelves these days. Thanks for ranting on this! They just gallivant all over the place, ignoring the system and making their fellow females appear like limp noodles for not going along with their schemes. This is unfair and misleading, and seems to ignore the real strides women made in the Victorian era. Very well said. I realized as I was reading your post how much these statements and thoughts ring true. Thanks for bringing this to your fellow readers' attentions. And, dear lord, how I need to read Sarah Waters!!! Wonderful rant! I think that there is a huge gap in my reading and I don't have much information on these modern Victorian women that you so feircely dislike, but I can see the point you are making and think that had I read some of these books, I would have to conclude the same. I much prefer characters whose motivations and experiences are firmly rooted in thier times and don't think I would like reading about a Victorian woman with modern sensibilites and modern rebelliousness. I do have And Only to Decieve on my shelf, and have heard good things about it, but I think after reading your review I will be studying it with a much more critical eye. "If Lady Ashton had existed today, she would be a character on Gossip Girl." I think that's one of the reasons for the character depictions. Maybe writers want the ladies to resonate with modern characters. Maybe they push it a little too far. And maybe it has something to do with Steampunk and the revival of late Victorian sensibilities into our day-to-day lives (even if that only occurs at a superficial level). Love it! I've been wondering lately why I don't seem to enjoy more fiction set in Victorian times. I have it in my mind that I love a Victorian setting, but I can't think of that many books (apart from Sarah Waters's ones) that I really love. It's the nonfiction about the Victorians that I like best, and I bet this is a factor. I need to start paying better attention! I haven't read much modern takes on the era. I guess this is why! I'll stick to the real Victorian women, I think! You have a good point...the Anne Perry mysteries that take place in Victorian England that I've read have female main characters who would be considered "rebels", lol. I'm sure every era has these type of women, but probably not to the degree that modern novelists would like to have us believe. No apologies necessary...it's a good thing to rant about! I agree whole heartedly. One of the things that I enjoyed about reading The House of Moreys last year was that I was always telling the main character what to do and yelling at her in my head , but realizing that she had limited choices for her time and circumstance. Not everyone can burn up the word wearing lace and petticoats. Doesn't it feel good to rant? I've also read a lot of books where I'm not convinced by the treatment of the characters, be it historical or not. But I think it is very difficult to write something that totally encapsulates the historical period/context without bringing something of yourself and your times into it. It's one of the difficulties in writing historical non-fiction as well as fiction. And in any history class it's always drummed into you that you need to leave your modern sensibilities behind when you explore history but I'm not convinced that it's entirely possible. So I think I'll be reading historical fiction with a little pinch of modern until I find the one book that will change my mind. Laura & Valerie- But that's what I mean. I don't think Victorian women really WERE that submissive- only that they seem that way to us now because of these annoying women going around doing stupid things like riding a horse crazily around Hyde Park or something. Zibilee- I hope I didn't ruin it for you now! Errant Knave- I haven't really considered that possibility. It might have more to do with a steampunk element, as those girls tend to be super-gutsy and rebellious. Hmm. Nicole- Yes, exactly. One need not rebel against the small things, like these heroines do, when the important women are rebelling against BIG things. Chasing Bawa- I am not saying that people should totally encapsulate a historical period, just that they should write in a way that respects the people of the period. The way these heroines are written, it makes it seem as though no Victorian woman ever *really* wanted her life to be different, which is unfair to all those women who DID spend so much effort trying to make life better for others. For we are living in an age when moral superiority and pious prudence often overruns the good sense of the halfwits who never bothered doing their research before setting pen to paper. I tell you what else I've seen it in novels of the Regency and Edwardian era as well. Just to answer your last comment, I think I understand what you mean. One drawback of contemporary writers setting characters in previous eras is that they attach their own bias to the characters. Hence why the majority of 'Victorian' women are portrayed by default as rebels. As you rightly pointed out, the seeds of the suffrage movement were planted in the Victorian era. The conditions that working class women faced in factories doesn't even bare thinking about. Ah, Mrs Fox. She appears around 200 pages into the book. I can't remember exactly when because I have been scoffing this book down like an extra box of Christmas chocolates! Hilarious and so true! I am going to have to remember to use URF as a descriptive the next time I review an applicable book. I like me a good rebellious character, I have to admit, and I'll even cop to enjoying unrealistically modern characters in historical fiction on occasion, if the writing's engaging. As far as those "rebellious" characters making every other female in the book look bad, that does irritate me. The past, in some respects, wasn't that different than things are today. There are lots of women I meet and see during a regular work week that baffle me with their attitudes and ideas, the same way that I'm sure I baffle (or sadden, or infuriate) them. Attitudes and ideas of what is appropriate behaviour come in all shades of grey, and what I ask for in an historical novel is that those shades of grey are represented, rather than having one vibrantly orange character and the rest black or white. Awesome rant, really made me think. Thank you!